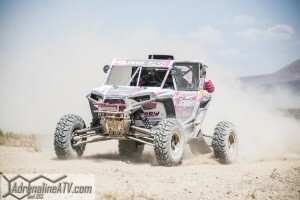 Cognito Motorsport’s Justin Lambert Wins Longest Race in the U.S.
Minneapolis, August 18, 2015-Best in the Desert’s (BITD) Vegas to Reno is the longest off-road race in the U.S. and more than 50 UTVs would line up to represent the three UTV classes. Polaris Factory Racer Justin Lambert and co-driver Justin Sheakley in the No. 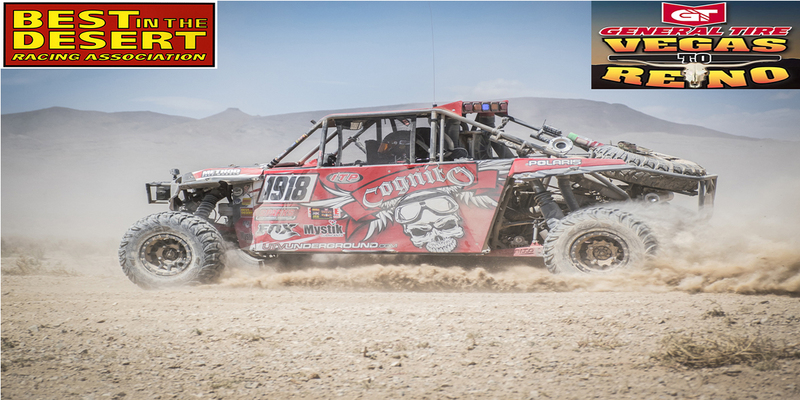 1918 Cognito Motorsports RZR 4 1000 would tackle the dusty 545-mile race in just over 13 hours. It wouldn’t be completely smooth sailing for the team as they would have some downtime due to a collision with another car. 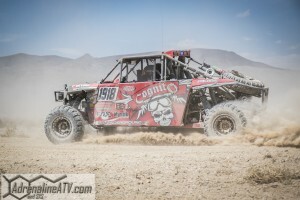 They were able to make up the deficit and finish first in the Pro class on corrected time. Polaris Factory Racer Brandon Schueler in the Jagged X No. 1919 would also represent Polaris on the podium in third place. The top five Pro finishers would include four RZRs including the new RZR XP Turbo EPS driven by Polaris Factory Racer and UTV Inc.’s Johnny Angal who built the car in 12 days and finished fifth. The lone finisher in the Pro Unlimited Class was the No. 2909 RZR of Lacretia Buerrier who continues to lead the class. Justin Lambert is sponsored by Polaris, Cognito Motorsports, Sparks Performance Products, Mystik Lubricants, Fox Shocks, ITP Tires, Method Race Wheels, Rugged Radios and Rigid Industries.